Mark Hughes doesn’t want Carlos Tevez to play for Argentina in friendly. Sound familiar? 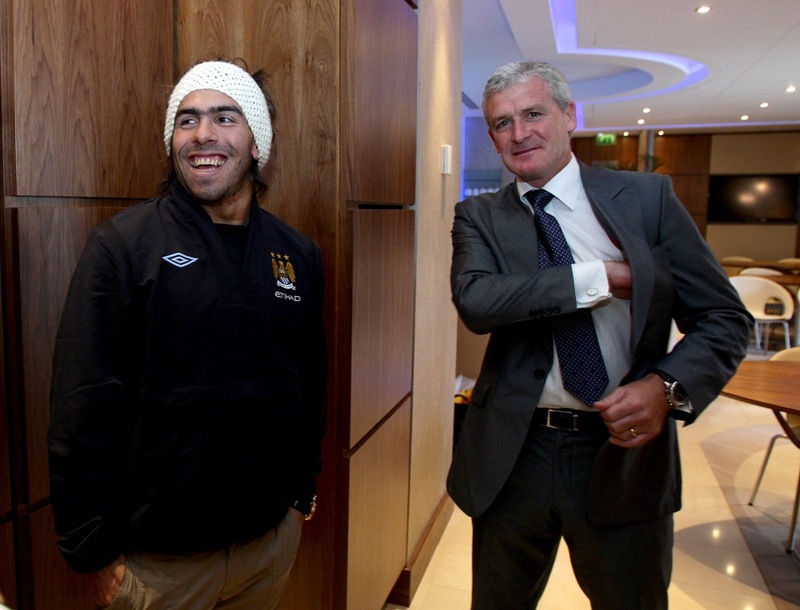 Mark Hughes has asked Diego Maradona to omit Carlos Tevez from Argentina’s squad to play Russia in next Wednesday’s international friendly. “We don’t think Carlos should play for his international team and we’d prefer him to stay back next week.” Sparky said. Aw, Man City’s boss is beginning to sound like Sir Alex Ferguson. Sweet. Except Fergie wouldn’t ask politely, he’d just keep Tevez locked in his bathroom and tell Maradona to swivel. But good effort, Sparky. You’ll get the hang of this “big club” lark soon enough. He slipped in the shower!? I thought this guy had superb balance? Looks like Fergie was right to ditch him.